From humble beginnings lugging their sound system to dances on ‘a number 14 bus and a supermarket trolley’ Soul II Soul have sold more than 10 million albums worldwide and featured on over 200 compilation CDs. Founded in London in 1988 by Jazzie B, they are best known for the 1989 UK number 1 and US top 5 hit ‘Back to Life (However Do You Want Me)’, as well as for notable collaborations with musicians such as Simon Law, Nellee Hooper, Phillip ‘Daddae’ Harvey and Caron Wheeler. 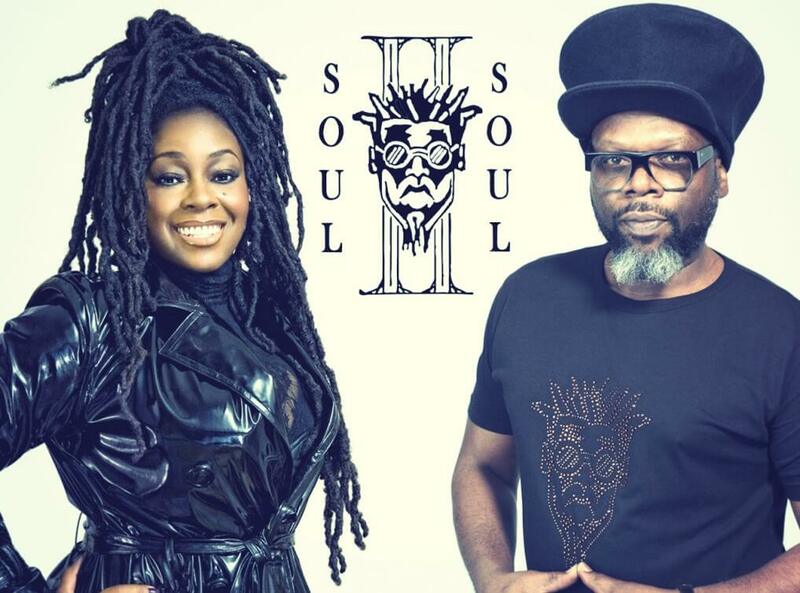 Indeed, ever since their Sunday night parties at the now legendary Africa Centre in Covent Garden, Soul II Soul have been known for a sound that’s always fresh, always new and always infectious. Virgin Records recognised this unique quality in 1988 and signed the act without a moment’s hesitation, propelling them towards a whirlwind of success. In addition to huge record sales, Soul II Soul have performed in more than 20 countries, including shows at world famous venues like Wembley and New York’s Universal Ample Theatre, won two Grammys in 1990, and Jazzie B has even been given keys to seven cities in the US, including LA and New York. Indeed, such is the American appreciation for the group that there’s even a Soul II Soul day celebrated every year. In the UK, Jazzie B was awarded an OBE by the Queen for services to music and is honoured near his birthplace in Finsbury Park with an iron sculpture at the Portrait Bench by the station forecourt, alongside suffragette Edith Garrud and health pioneer Florence Keen.